This is a serious contender of the most beautiful sandal in the world. 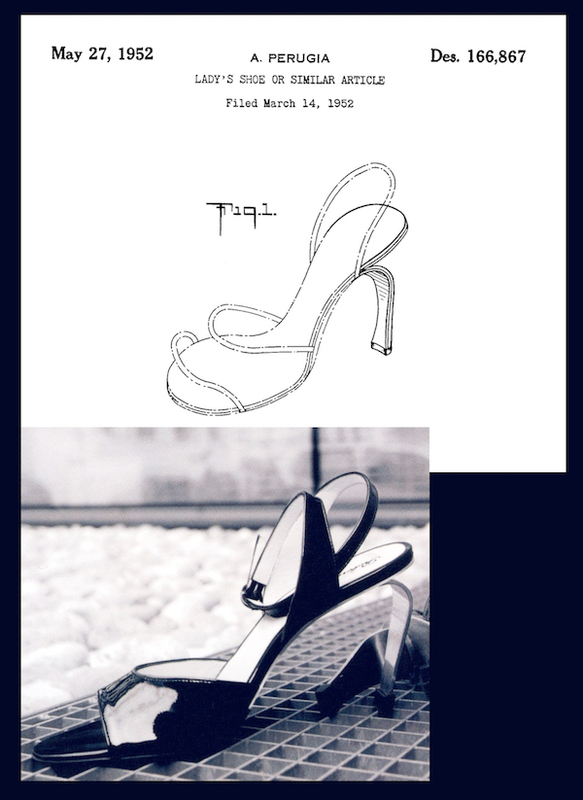 Designed at the same time, it’s another stroke of genius in the series of Perugia’s metal heel. Unfortunately, unless hidden in the vault of Romans’ Museum de la Chaussure, no actual Perugia shoe can be found with such a heel. 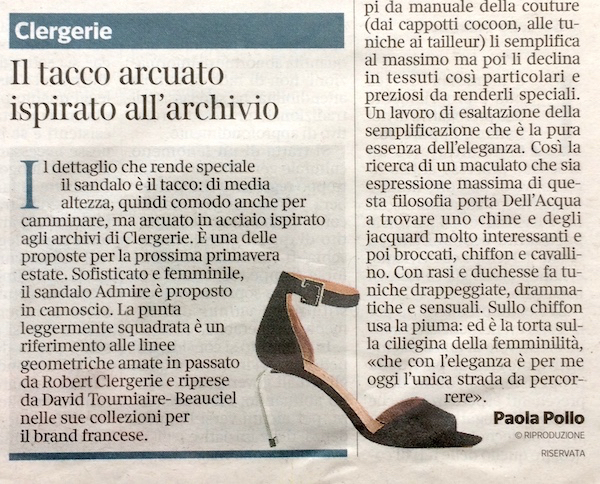 It comes to our rescue Robert Clergerie with a 2007 sandal that employ the very same arched metal heel. We insist calling this practise stealing, but at least Robert Clergerie ALWAYS acknowledged André Perugia as his master in many interviews. 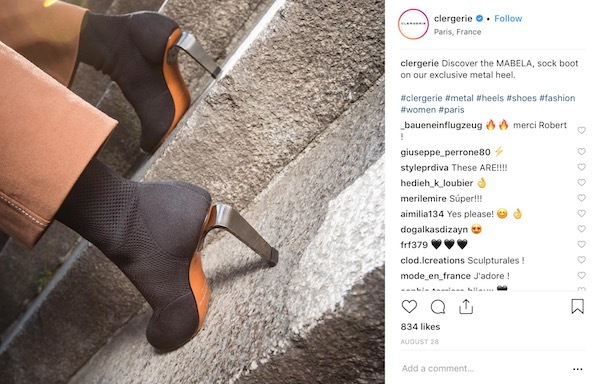 Robert Clergerie (the man) is no longer part of Clergerie (the brand): however the new brand employ the same tactic, but without due credit where credit is due. “The exclusive metal heel” was feed to costume/fæshon journalists as part of the Clergerie archive, and they fell for it (see last picture down here). Brilliant. Well, it’s nothing new, isn’ it? 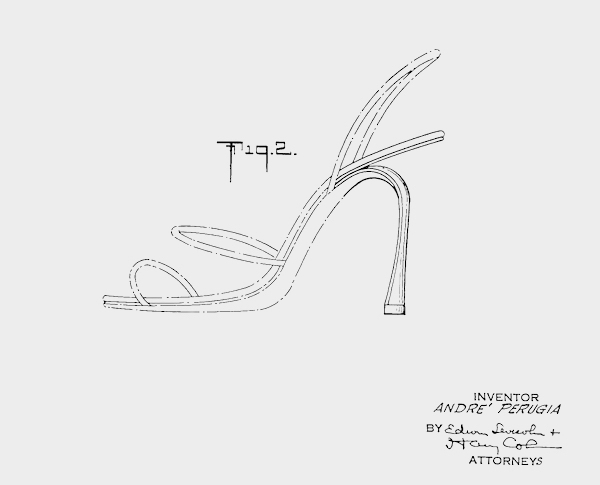 Every season there’s someone who invent a Perugia heel somewhere. More recently here and here.